What does a cow pie from a healthy cow look like? 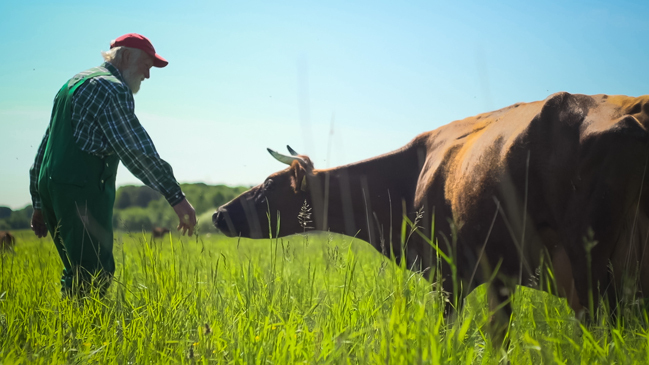 Do farmer Niels Stokholm’s biodynamic steaks really taste better? 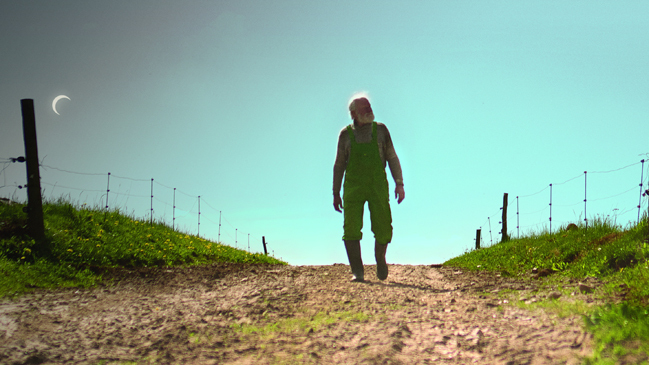 Phie Ambo's Good Things Await about Stokholm's biodynamic farm Thorshøjgaard, supplier to the world's best restaurant Noma, is opening the Berlinale Culinary Cinema, a celebration of film, our environment and the joy of food. How do you tell from a cow pie that its owner is a healthy cow living according to its instincts and in harmony with nature and the people around it? Niels Stokholm, the 80-year-old protagonist of Phie Ambo’s Good Things Await, will tell you that the cow pie should have a healthy, dark colour. That’s a sign that the cow has had access to a lot of grass. The cow pie should have a firm shape and resemble a cream puff. If you hold your hand close, you should be able to feel a slight heat arising from it – and you shouldn’t have to hold your nose. Stokholm and his wife Rita run their biodynamic farm Thorshøjgaard, 50 km north of Copenhagen, based on 40 years of observing their animals and the nature around them. To Stokholm, biodynamic farming is about engaging in dialogue with your surroundings and striving to understand how everything thrives. His daily routines are based on observing the animals’ well-being – for instance by ascertaining the quality of a cow pie. You might even call it research of a kind. “Everything can’t be measured and weighed. I can’t measure the impulses that go from humans to animals. But I know they’re there, and I can tell that it matters to the animals that they have human contact. It makes them calm and secure,” Niels Stokholm says. Another significant observation Stokholm has made over his many years as a biodynamic farmer is that the more the animals live in accordance with their instincts, the better their meat tastes – and the better it is for us. Not surprisingly, as Ambo shows in Good Things Await, this idealistic farmer with his far-reaching ideas is a thorn in the eye of the authorities. The food and agriculture department is threatening to deprive Stokholm of his right to farm livestock. Phie Ambo goes to bat for sustainable agriculture in her new film. 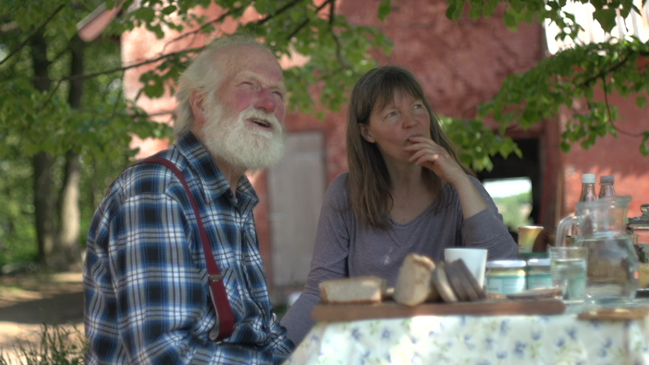 Niels Stokholm, 80, struggles to run his farm his way, biodynamically, following the principles of Austrian philosopher Rudolf Steiner that form the core of biodynamics. Instead of regarding weeds as an evil, Stokholm thinks of them as part of the farm’s circulatory system. The animals are on pasture all year round, including when the ground is covered in snow. Stokholm’s cattle, an old dairy breed known as Danish Red, are so frisky you could mistake them for deer. But Stokholm’s ways of farming in harmony with the planets and the primal instincts of the animals are not popular with the authorities who subscribe to more conventional ideas of organic farming. With her film, Ambo seeks to demonstrate that alternatives do exist to how farming is practiced today. Good Things Await had its international premiere in IDFA’s Female Gaze section in 2014. Food, pleasure and the environment are key themes of the Berlinale’s Culinary Cinema section, celebrating its 10th anniversary in 2015 and opening with Phie Ambo’s Good Things Await. Ambo’s portrait of Niels Stokholm, his ideas about farming and raising livestock and his struggle against the bureaucracy are a perfect fit for the section’s tenets. The film has also inspired a three-course dinner, to be served after the screening, featuring cheese from Stokholm’s Thorshøjgaard. 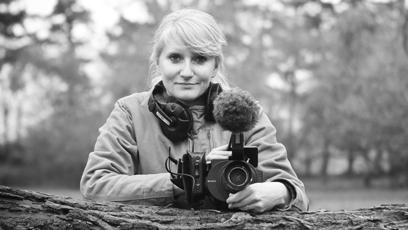 Phie Ambo has helped define the success of Danish documentaries over the last decade. In 2001, with Sami Saif, she won the world’s most important documentary film award at IDFA for Family, making her name around the documentary world even while she was still attending film school. An original and personal film, Family blazed a trail for a generation of documentarians with the courage and vision to create visually powerful narratives for the big screen. In recent years Ambo has chiefly pursued work of a more thematic nature. In 2007 she launched a trilogy on science and human existence with Mechanical Love, which charted the relationship between humans and robots and the nature of emotion. The next film in the trilogy, 2012’s Free the Mind, explores how thoughts influence the mind and the body. The third and final film, Ripples at the Shore, expected to premiere in 2015, looks at human consciousness and its connection to the living body.